London [UK], Nov. 24 : Star striker Lionel Messi scored twice as Celtic were eliminated from European competition as Barcelona won 2-0 against the Scottish champions to secure top spot in Champions League Group C.
Messi struck the opener from Neymar's sumptuous pass in the 24th minute of the match while he scored the second goal off a penalty in the 55th minute, reports the Guardian. Barcelona will qualify for the Champions League last 16 as group winners. "This was a very difficult section," said Luis Enrique, Barcelona coach. "It is great to come first with a game to spare," he added. Johannesburg, Jan 20 - Barcelona manager Luis Enrique has lavished praise on team's talisman Lionel Messi, describing the Argentine as a world class player after the forward took his tally to 28 goals in 27 games with a hat-trick in a 4-0 win away to Deportivo la Coruna. Quashing reports of a dressing room rift between two, Enrique said that Messi had been at an extraordinarily high level all season, adding that he hadn't dipped at any point and had been world class, Sport24 reported. Johannesburg, Jan 06 : Current Premier League leaders Chelsea are monitoring the relationship between Argentina captain Lionel Messi and Barcelona coach Luis Enrique, which continues to worsen at the Catalan club. A Spanish newspaper has reported that Messi is unhappy with coach Enrique's way of running the dressing room at Barca and in light of the same 2015 might prove to be the year Chelsea makes their move for the Argentine. It has been revealed that the club's first training session of 2015 was marred by a war of words between the two when Enrique failed to award a free kick to Messi during a 5-a-side game, Sport24 reported. London, Nov 24 - Barcelona football team manager Luis Enrique feels that their star striker Lionel Messi's Spanish goalscoring record would never be beaten. Telmo Zarra's 251 goals had been the record since 1955 but Messi is now up to 253 La Liga strikes following Saturday's hattrick in Barca's 5-1 win over Sevilla. Enrique said that Messi is a unique player, adding that there'll never be anyone like him and Barca is lucky to enjoy his presence there, The BBC reported. 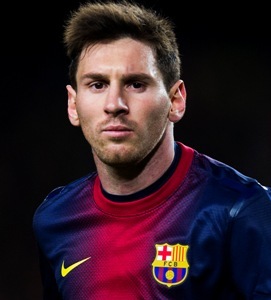 He believes that the Argentine would leave the record unreachable for anyone else. Enrique added that Zarra beat it in an age when there were more forwards than defenders. London, Oct 04 - Four-time world player of the year Lionel Messi would soon face trial for alleged tax evasion, a Spanish judge has ruled and might face a six year jail term if convicted. According to the BBC, the judge discarded a recommendation for prosecution to drop charges on the grounds that the player's father was responsible for his finances. 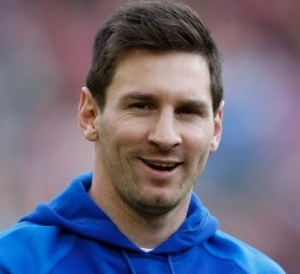 Messi and his father are accused of defrauding the authorities of more than four million euros. The pair has five days to appeal against the ruling. 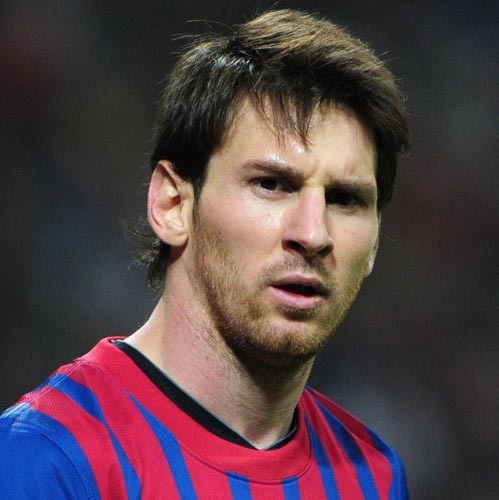 London, Sep 28 - Chelsea would reportedly make a new bid for Barcelona's star forward Lionel Messi at the end of the season after they failed with an attempt to lure the Argentine to Stamford Bridge in the summer. Reports emerged on Friday that Chelsea had a giant offer rejected for Messi during the last transfer window, but Jose Mourinho 's side has clearly not given up on a deal. It has been revealed via Spanish media that Chelsea would again try to bag Messi once the current football campaign comes to an end, Metro.co.uk reported. Johannesburg, July 11 : Germany has reportedly revealed that they have a secret plan to defend Argentine ace Lionel Messi's attack on Sunday's World Cup final at Rio de Janeiro's Maracana stadium. Germany's assistant coach Hansi Flick said that there is a special plan to cope with Messi, who has won the Ballon d'Or award four times, but refused to give details on the same. According to Sport24, Flick said that the Germans saw how Netherlands managed to keep Messi out during their semifinal clash, but he added that they too have a special plan for the striker, although he said that he would not give that away. London, Feb 13 : Barcelona star Lionel Messi has reportedly offered his millions of fans a glimpse into his culinary skills by uploading a video to his Instagram page of him cooking dinner. The Argentine player, who recently lost out to Real Madrid rival Cristiano Ronaldo in the FIFA Ballon d'Or award, in traditional Argentinian style whipped up a meal involving a large amount of beef, according to the video. The Daily Star reports that apparently Messi had to cook the meal as a result of losing a bet, which he mentioned in the caption for the video. Madrid, Sep 11 - FC Barcelona star Lionel Messi and his father will appear in court Sep 27 to answer charges of tax evasion. The change of date came after the postponement of a hearing, scheduled for next week. Messi and his father face charges of filing incomplete tax returns for the years 2006-2009 and have already made a payment of over five million euros to the Spanish tax authorities Aug 14, reports Xinhua. Madrid, July 25 : Argentine football star Lionel Messi has said that he had no hand in the appointment of new Barcelona manager Gerardo Martino. "I had nothing to do with Martino's signing. It was down to the president Sandro Rosell and the club. I said before that I thought he was a good coach, but I don't have anything to do with this," Messi was quoted saying by Telegraph Wednesday. Martino, former coach of Paraguay, has agreed to sign a two-year contract with the Catalan club and will replace Tito Vilanova, who resigned from the position last Friday due to health issues. 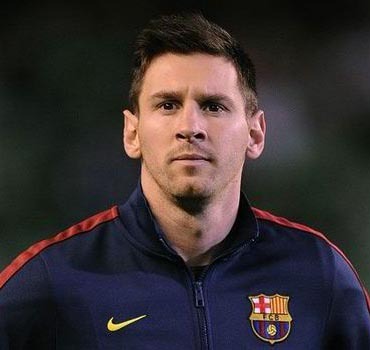 Barcelona, May 16 : FC Barcelona striker Lionel Messi may be out of action for the rest of the season as the result of a torn hamstring but his 46 goals this campaign were vital in Barca claiming their fourth La Liga title in five years. The Argentinean striker gave his feelings on what has been a difficult campaign for Barca, who are currently 10 points ahead of Real Madrid with a game in hand, but who had to suffer the loss of coach Tito Vilanova for almost three months as he underwent cancer treatment in New York, reports Xinhua. Barcelona, March 29 : Lionel Messi could add another record to his already staggering list of achievements if he scores for Barcelona on their visit to play relegation staring Celta Vigo Saturday evening. Messi scored in Barca's last 18 league matches, a feat unsurpassed in the Spanish BBVA Primera Liga and will make it 19 if he scores in the Balaidos Stadium against the side that currently sits second from bottom of the table. Madrid, Jan 12 : FC Barcelona striker Leo Messi said that he hoped to add further Balon d'Or trophies to the four he has won in the past four years. Messi was given the award last Monday. This is an award given by France Football and FIFA to the best player in the world. It was the fourth successive time Messi has won the Balon d'Or, something nobody has ever done. But aged just 25, there is still plenty of time for the Argentinean to add more to his trophy cabinet, reports Xinhua. "I hope to win more but it is not an obsession, at least not at the moment," said Messi Friday in an interview with France Football.